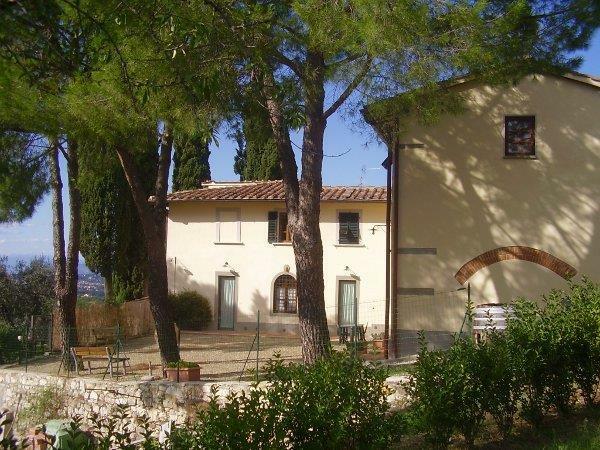 The country house "Il Palagetto" is in a perfect hillside position with a wonderful view of Florence and the Duomo and only an easy 5/10 minute drive from the tennis club. 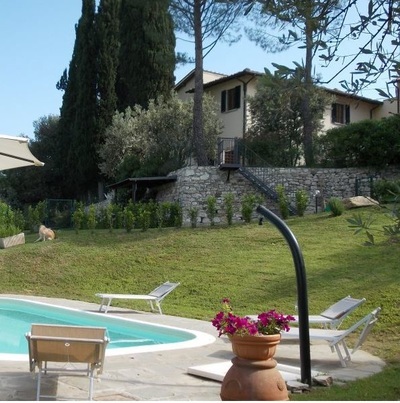 Only 3 kms from the city centre, "Il Palagetto" possesses 4 beautifully renovated holiday apartments with full facilities, perfect for a Florence tennis holiday. 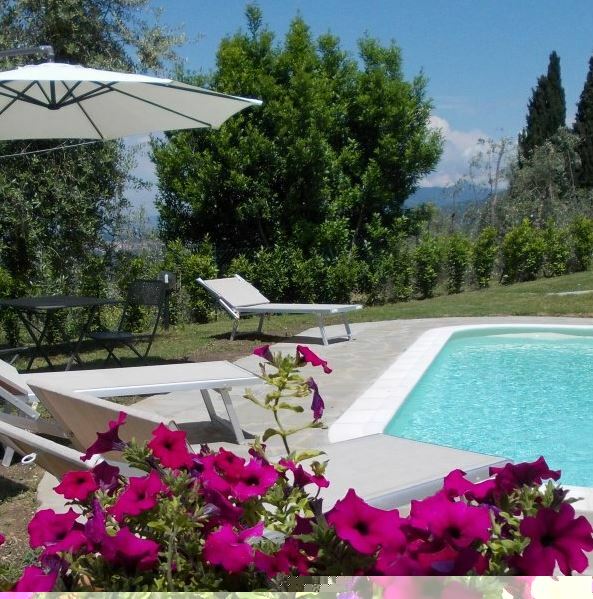 The beautiful swimming pool and private gardens allow you to enjoy this fabulous view of the Tuscan landscape and the amazing city of Florence in the foreground. Il Corbezzolo has two bedrooms on 2 levels, suitable for all families with children or two couples. Upstairs is the sleeping area consisting of 2 separate bedrooms, one with a double bed, the second with two single beds. On the ground floor is the living area with a fully equipped kitchen, oven, microwave, dishwasher, washing machine, dining area and sofa bed for 2 persons, TV LCD and bathroom with shower. 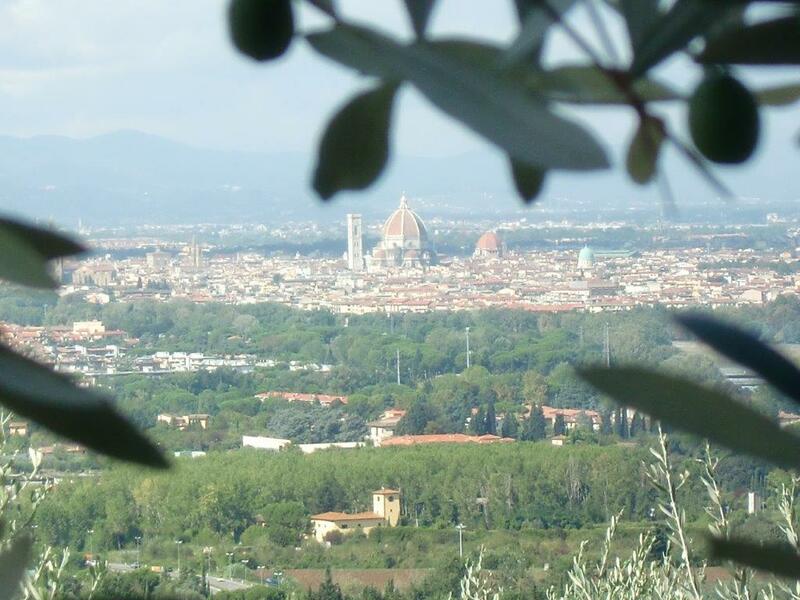 The views from the apartment overlook the city of Florence and the surrounding countryside. Parking is also available. (From 4 to 6 beds) 75 sqm. Il Roso is an apartment on one level. Consists of a fully equipped kitchen with oven, microwave, washing machine, dishwasher, dining table, bedroom with double bed + 2 seater sofa bed for 2 people and bathroom with shower. It also has the ”room with a view” overlooking the city of Florence and the surrounding countryside. Parking is also available (2 to 4 persons) 50 sqm. Il Caminetto is an open floor plan on one level. It consists of a fully equipped kitchen with oven, microwave, washing machine, dishwasher, dining table, double bed, fireplace and bathroom with shower. Overlooking the surrounding countryside. Parking is also available. (2 to 3 persons) 46 sqm. 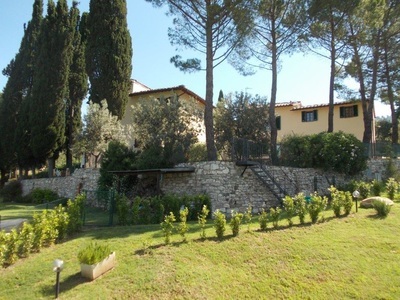 Il Lucernaio is an apartment on 2 levels. On the ground floor is the fully equipped kitchen with oven, microwave, washing machine, dishwasher, dining table + 1 sofa bed for 2 people. Upstairs there is the master bedroom with a double bed and bathroom with shower. It also has the amazing views of the city of Florence and the surrounding countryside. Parking available. (2 to 4 persons) 50 sqm. 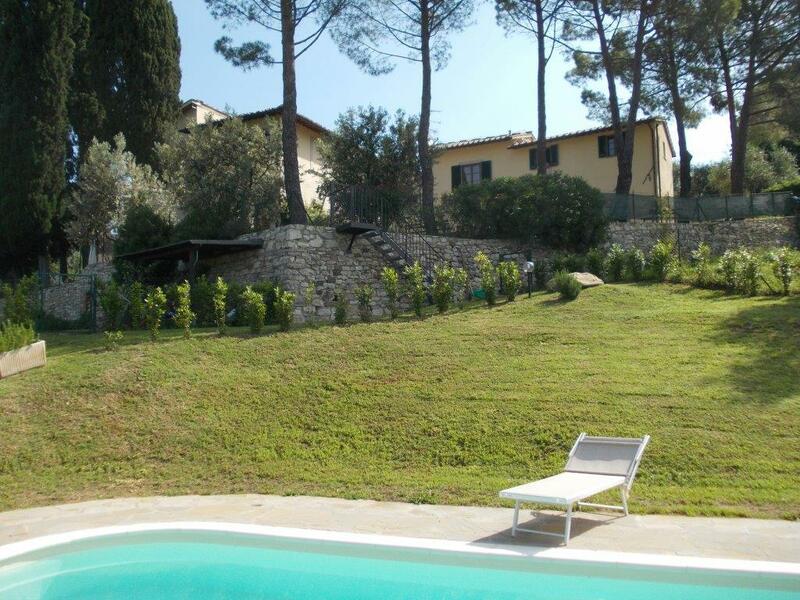 See photos below of the amazing views of Florence from Il Palagetto and the pool area. 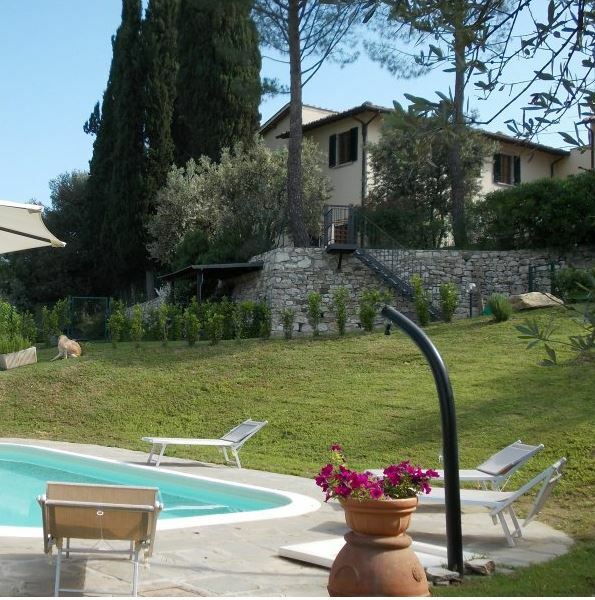 On the hills of Florence, the country house Il Palagetto with its own swimming pool, sun loungers and sun shades provides the perfect place to relax under the Tuscan sun.